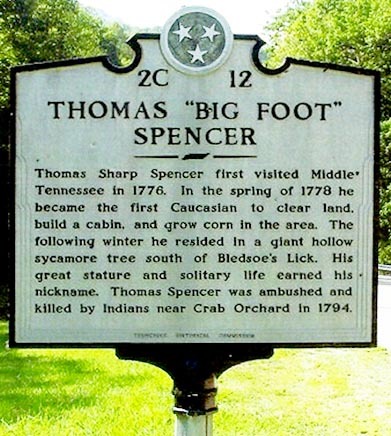 Thomas Bigfoot Spencer, described as a mountain of a man weighing three hundred pounds who left footprints the size of a giant, is credited as being the first Caucasian to settle in Sumner County in what was then North Carolina, nearly two decades before Tennessee became a state. 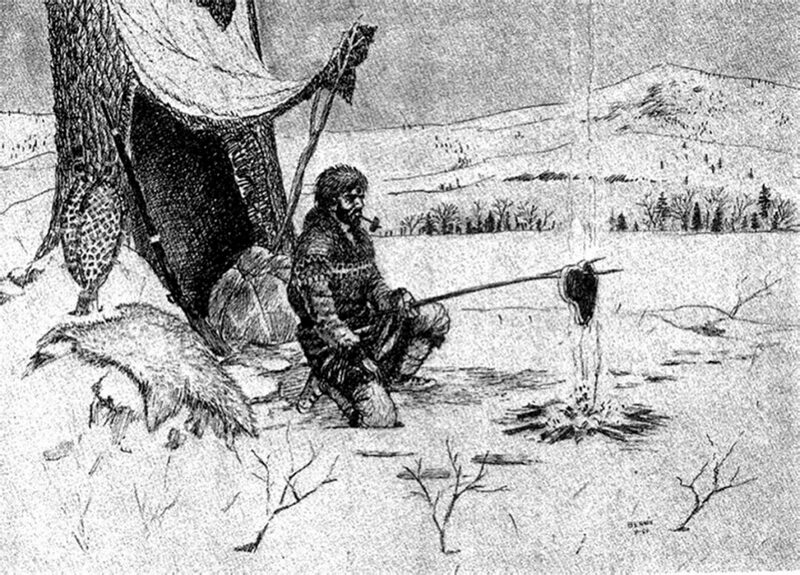 He cleared land, grew corn, and hunted at Bledsoe’s Lick near Castalian Springs — and lived in a giant sycamore tree during the winter of 1778-1779. The centuries-old tree was reported to be 12 feet in circumference and broken off 20 feet above the ground. Legend has it that Bigfoot would use a ladder to climb into the tree, which was partially hollowed out by the elements, then pull the ladder in behind him and stay safe from attack by animal or intruder. The tree survived as a popular landmark into the middle of the ninet eenth century. A memorial erected by Daughters of the American Revolution in the 1920s marks the spot where the tree stood, now on the property of Wynnewood State Historic Area.